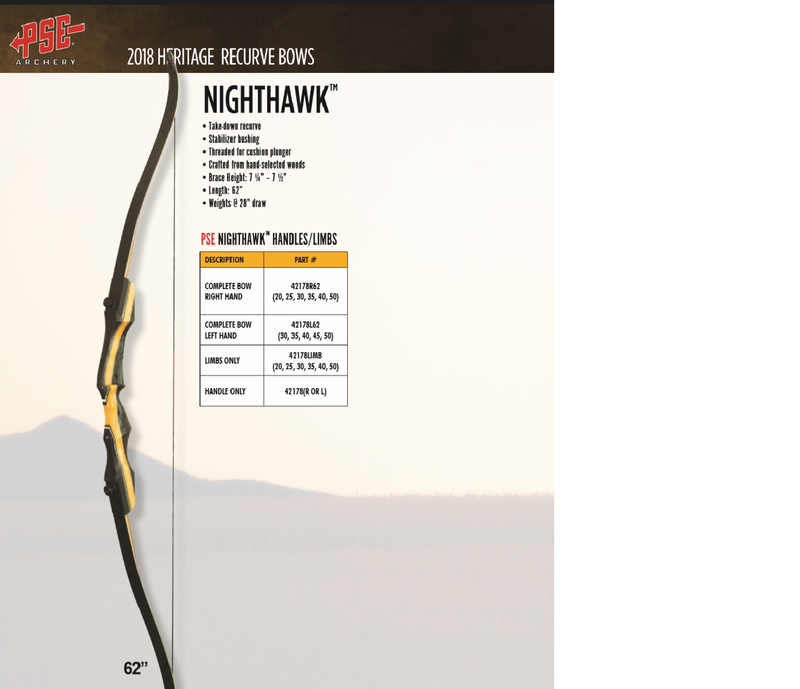 PSE`s Nighthawk Recurve Bow is a versatile takedown recurve bow with the beginner in mind. Its 3 piece design makes transport hassle-free and allows you to swap limbs for larger draw weights. The beech wood and exotic walnut riser gives a firm grip for a steady shot every time! Glasslaid limbs made with maple wood are incredibly durable. Brace Height: 7 1⁄4" - 7 1⁄2"